After my blog post yesterday, I was feeling a little homesick so I thought I'd share a little more of the beautiful countryside of NSW's Far South Coast where I grew up. 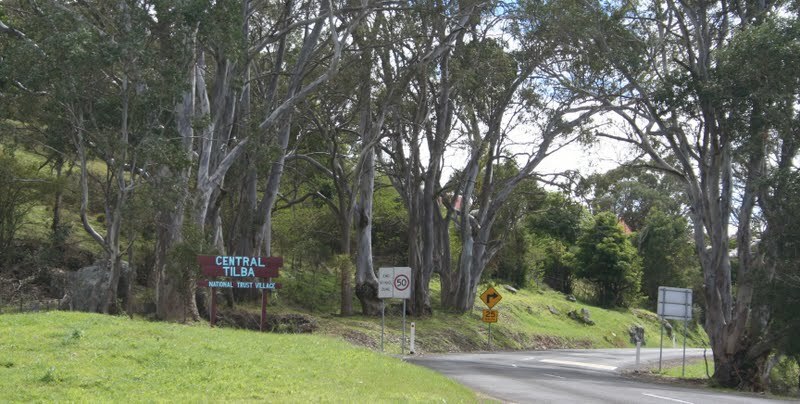 When I drive home to Eden via the coast road, I always take the 3km detour off the main highway and drive past Tilba Tilba and Central Tilba. 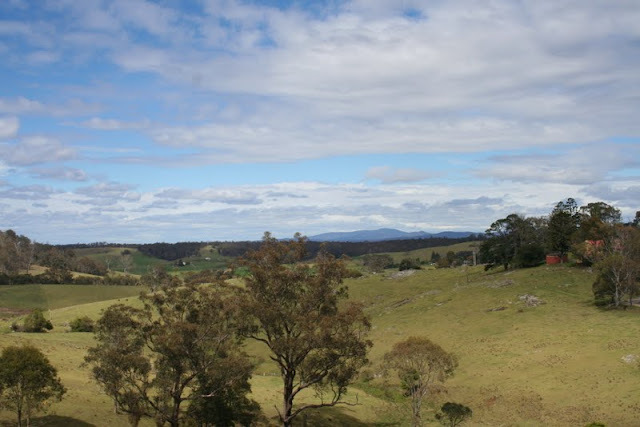 The countryside around these two little towns is some of my favourite in Australia. 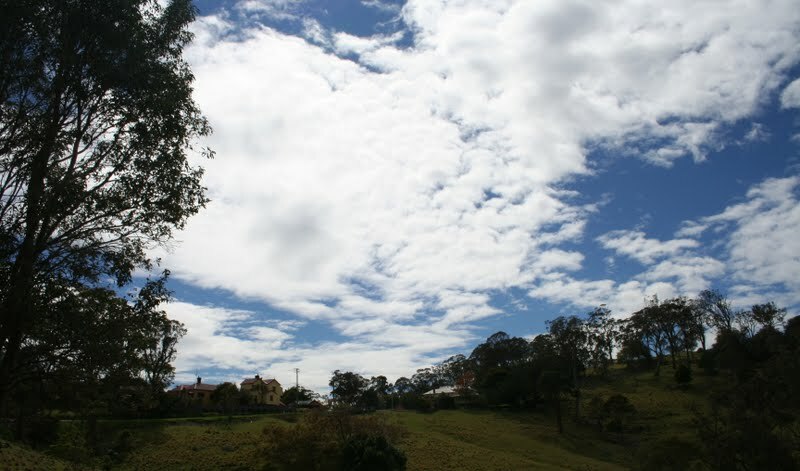 I also love the countryside around Candelo but that's on the inland roads home. Tilba Tilba and Central Tilba are two tiny little heritage towns with several quaint cafes, gift shops, local pottery, delicious local cheeses and a great bakery. These towns are just south from beautiful Narooma. Although sometimes when I turn off the highway but don't even stop at the towns (Depending on the time I'm making and how quiet the kids are being) - it's the winding roads, rolling hills and green green grass that I love. I find I breathe easier in the country. I love the little local communities where people know each other and say hi and genuinely care for one another. One day I was laughing to a friend and saying I should have married a farmer. Because of my chickens and attempts at growing vegetables in my little inner suburban backyard, she replied "Fiona, you are the farmer!" My little lush backyard and the beautiful friendly community of Lilyfield keep me sane - it really is my little slice of country life in the inner city suburbs - but every now and then I get itchy feet and start searching "rural" and "coastal" on the Domain website. Are you a big city gal? or do you revel in the delights of open countryside? Next time you are driving somewhere take the tourist route! Some of Australia's most beautiful towns and countryside have been bypassed by the highways but they are worth checking out. Beautiful countryside! I love it down there. Will have to take the detour next time! Oh Fiona it looks beautiful. We have to have a family trip down there at some stage and I will be hitting you up for tour advice! a beautiful part of the world !! Absolutely agree, it is lovely down there. My Uncle built a holiday place at Potato Point many years ago and we hope to be able to visit there (and others in our beautiful country that mean family connections)when my husband starts to retire finally ! I find the older I get the more I love a few special places. thanks Sandra - I don't know Potato Point. I will have to check it out sometime. What you say is so true about the special places. Very wise! I grew up in a small village (which didn't even have a pub!!) I then married a farmer (13th generation in fact! 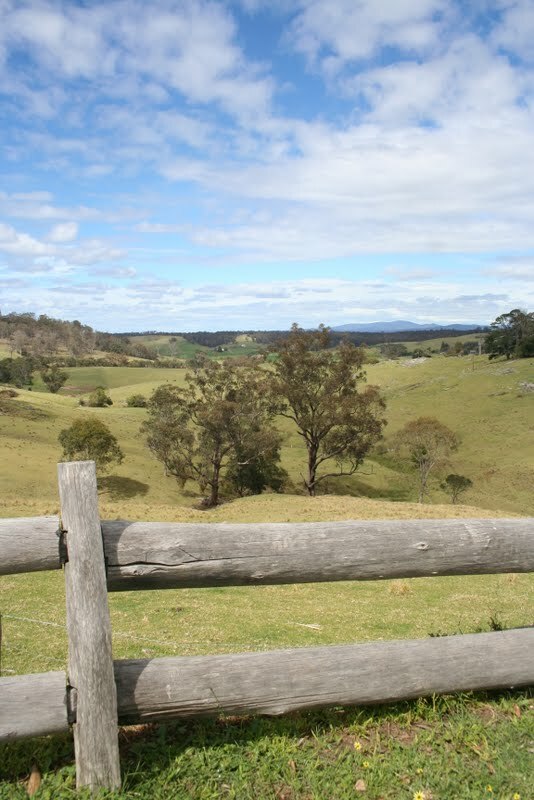 )So have always lived in the countryside in England, America and now Australia. Both my kids are at uni in Adelaide and really love the city life and all that it has to offer. They have no plans to move back to a rural area. I often wonder if in time they will miss country living.